Today? Is my FIRST DAY OF PRESCHOOL! ZOMG! Sorry. I just had a moment there – I am *so* excited about going to school today! You guys have no idea. Anyway. Remember how we went to Ocean City for our summer vacation? Well, Baby Lulu wasn’t the only one who had a great time! While Lulu rode on Mommy’s back, I hitched a ride to the beach on Daddy. 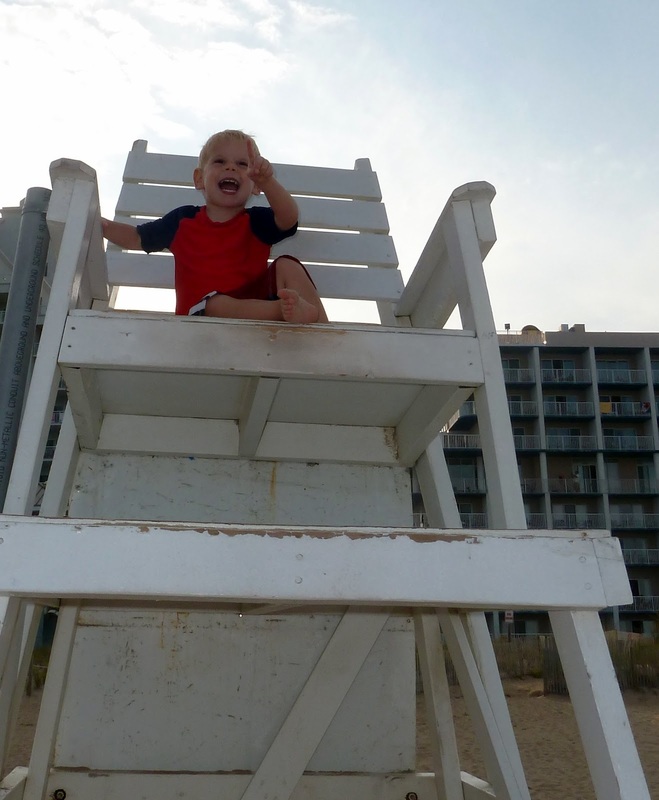 I *love* the beach – and at Ocean City, they even have a playground! and had some serious fun at the amusement park. I even pondered some future career options. We had SO much fun! Wow looks like you guys had a great time! My mom has a picture of me on those motorcycles, too (we would have had one of Mags too, but it was raining)! Ocean City is the BEST!! !